Made from quality tested selective raw material. Free from pathogenic microbial contamination & toxicity. Available in crumbs & pellet form and for various life stages of feed – Pre-Starter, Starter, Finisher etc. and concentrates also available. 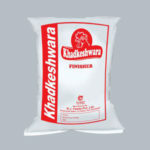 KHADKESHWARA Feed is Nutritionally well balanced. 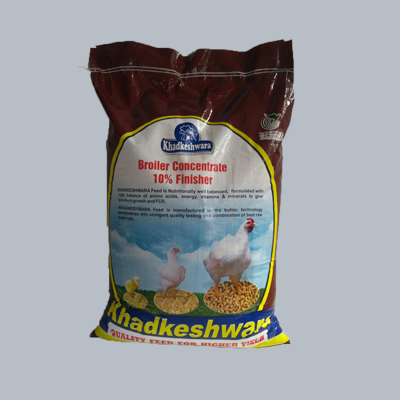 KHADKESHWARA Feed is formulated with right balance of amino acids, energy, vitamins & minerals to give excellent growth and FCR. 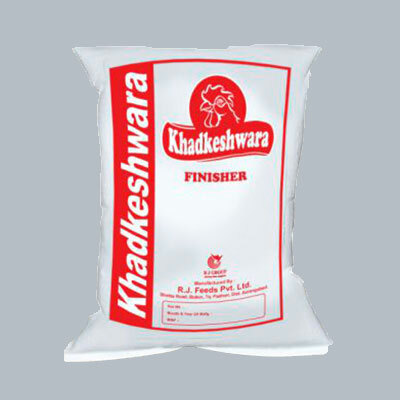 KHADKESHWARA Feed is manufactured in the buhler technology machineries with stringent quality testing and combination of best raw materials. 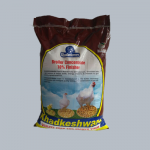 KHADKESHWARA Feed is free from Pathogenic Microbial contamination and is free from toxicity. 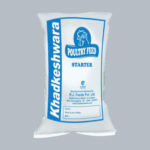 KHADKESHWARA Feed in the pelleted form ensure low wastage, avoid selective feeding and are produced in a high level of hygiene. KHADKESHWARA Feed is produced from selective list of raw material which are tested for their quality and microbial contamination. 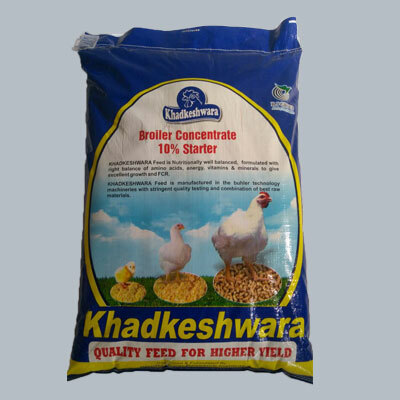 The calorie and protein ratio is property balanced as per the nutritional requirement of the growing broiler. The feed is supplemented with synthetic amino acids, growth promoters, ionophores and toxin binders. In Process Quality parameters are strictly monitored during feed processing. 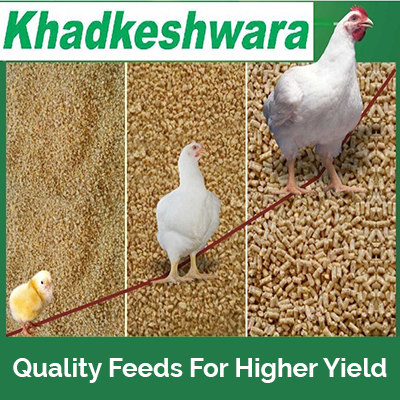 KHADKESHWARA feed is most economical in terms of cost to benefit ratio. 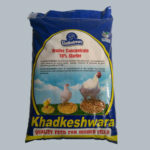 Breeder Feed in Crumbs/Pellet form (Chick Cr.,Grower Cr.,and Layer Cr/Pellet ) is also available.